Speaking of Dance: Twelve Contemporary Choreographers on Their Craft delves into the choreographic processes of some of America's most engaging and revolutionary dancemakers. Based on personal interviews, the book's narratives reveal the methods and quests of, among others, Merce Cunningham, Meredith Monk, Bill T. Jones, Trisha Brown, and Mark Morris. Morgenroth shows how the ideas, craft, and passion that go into their work have led these choreographers to disrupt known forms and expectations. 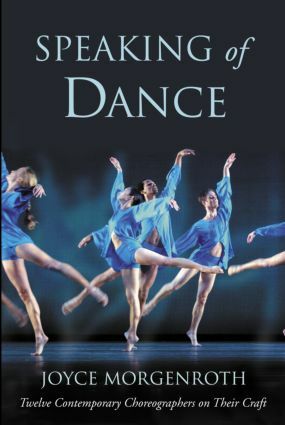 The history of dance in the making is revealed through the stories of these intelligent, articulate, and witty dance masters.